Steve Hackett has been making music long enough that he knows what he wants and he knows how to get there. And while in his case, that journey doesn’t involve crazy flights of avant-garde improvisation or experimental electronics, he brings to bear impeccable taste, technique, and imagination coupled with the experience and assurance to pull a project together and make it work beautifully. 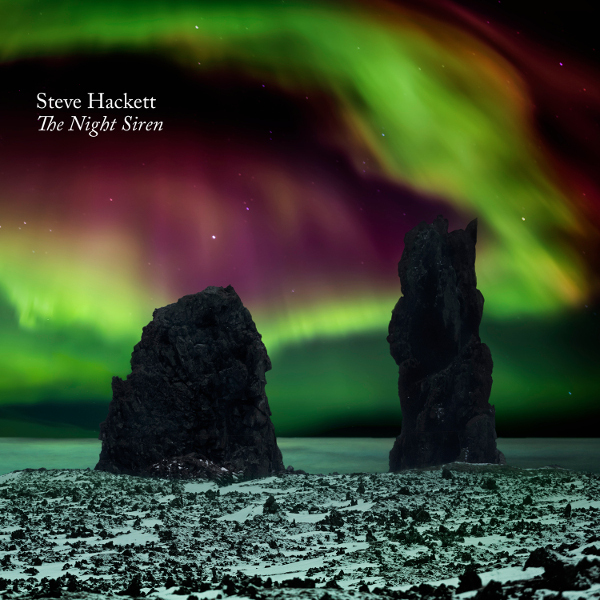 The Night Siren is undoubtedly Hackett’s work, and anyone who’s heard many of his solo releases will recognize it instantly, not just from his distinctive guitar playing, but from the way pieces are put together. And while a listener could say that in 2017 we don’t need another album that sounds essentially the same as Spectral Mornings, they would be missing the point, and missing out on some great music. First of all, Spectral Mornings is a really good record that holds up very well after nearly 40 years. And second of all, while The Night Siren is similar in many ways to that classic album, it does have plenty to offer on its own. “Fifty Miles from the North Pole” is a case in point, bringing together an almost Porcupine Tree-like heavy riff with slippery Indian-inflected strings, a children’s choir, didgeridoo, and a jazzy trumpet, but still sounding like Steve Hackett. It also has some outstanding soloing, illustrating that even when he’s approaching shred-level speed, he sounds like no one else. Maybe “Let me show you how it’s done, kids” isn’t among his motivations, but it’s certainly among the impressions a listener gets. Yes, kids, this is how it’s done. The balance of delicate acoustic sections with heavier parts is masterfully done, and Hackett has a way of presenting an achingly beautiful song like “Other Side of the Wall” so it manages to never slip into precious sentimentality. The integration of latin percussion which began back in the 70s continues, something which few artists have managed to do so seamlessly. Even the evocation of Andean folk music on “Inca Terra” doesn’t seem out of place, nor do the harmonica in “Anything but Love” or the Uilleann pipes in “In Another Life.” It is glorious to see a master craftsman at the top of his game, and that’s exactly what we have on The Night Siren.